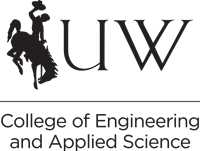 The Grad Fair will be at the University of Wyoming Union from Feb. 28-March 1. Make sure you have completed your degree check (Engineering Check Sheet requirement should be cleared in Degree Works). Engineering students – be sure you have applied for the FE Exam. You must complete the exam before you graduate. See your department for all required paperwork and deadlines. 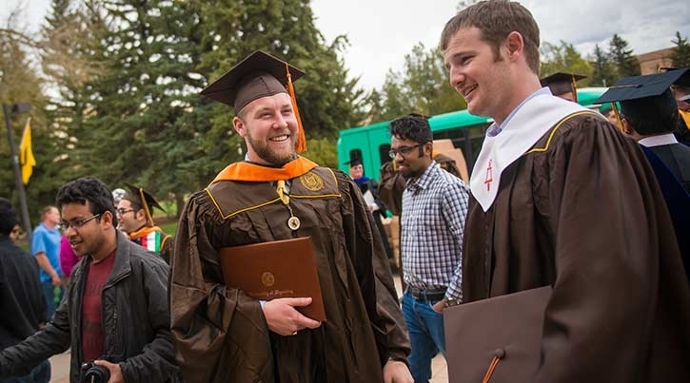 Order your Commencement Regalia through the University Store by March 31, 2019. Commencement will be hosted in the UW's Arena-Auditorium. The ceremony is Saturday, May 18 at 8:30 a.m. You will need to be at the War Memorial Fieldhouse by 7:30 a.m. to line up for the event. The ceremony is Saturday, May 18 at 12:15 p.m. You will need to be at the War Memorial Fieldhouse by 11:15 a.m. to line up for the event. Confirm with your Advisor/Committee Chair that you are eligible to be hooded at the spring ceremony, and confirm who will be hooding you. The College of Engineering and Applied Science will also host a Convocation Ceremony on Friday, May 17, at 5:30 p.m. in the College of Arts and Sciences Auditorium, with a reception following in the EERB Atrium. Students should arrive by 5 p.m. to line up. All spring graduates in the College of Engineering and Applied Science, along with their families, are invited to attend. The CEAS will host the Professional Obligation Ceremony, as well as the Pledge of the Computing Professional, and will recognize Atmospheric Science students. Engineering students – you will need your ring size. If you don't know your ring size, go to the CEAS Student Services Office (EN 2085) and use the ring sizer. The Order of the Engineer ring is worn on the smallest (pinky) finger of your writing hand. There are two numbers on the ring sizer - use the smaller number. A dash means a half size (so 7- means 7½). We ask that you wear your UW Commencement gown to the Convocation Ceremony. Commencement caps are not required.